Foster Feed Yard has been a leader in implementing A/S verification and in the use of EIDs (individual electronic identification). This has allowed us to qualify for federally regulated natural beef programs and to enter global markets not otherwise accessible. 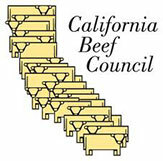 Beyond this, and just as importantly, it allows us to not only assure, but to guarantee consumers who buy our beef products, that the meat they purchase is of the highest quality available, that it exceeds state and federal requirements and that the label description is accurate—and all this has been certified by independent, third-party auditors. Within hours after the calf is born an RFID tag is applied permanently to his ear. It has a number that pertains to only that particular steer. This enables us to keep a record of him, as an individual, throughout his life. He is then taken to a calf-ranch where he is hand-fed until he is able to consume a well-balanced mixed feed. Thereupon he is shipped to Foster Feed Yard, where he is assigned a lot number and his EID number, along with his corresponding weight and visual tag, is inducted into our A/S system while receiving his vaccines. After a short period acclimatization, when cattle are kept under constant observation for any respiratory and digestive problems, they are assigned a “home-pen,” where they are kept until harvest. From that point forward, any steer that becomes ill is medicated, however he will be removed from the Natural Beef program, although remaining in the A/V program. After nineteen months, if he has not yet been shipped, he is removed from the A/V program, even though he retains his EID (so his age and origin are still traceable). 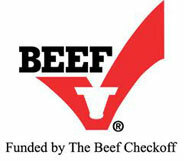 “Natural Beef” and “Age Verified” are federally regulated designations, in order to use them on a label the beef producer must be able to verify, through documentation, that their cattle qualify for these designations. Several audits are conducted annually to assure that this documentation is in place and instantly accessible, assuring the greatest traceability and transparency that has ever existed in any industry. The use of EIDs is essential to making such a system a viable reality. America’s cattlemen have always done their utmost to provide the consumer with the safest and highest quality beef; now, through the use of EIDs in cattle, they are able to prove they do.